At AlfaClear Drains we take pride in our work in order to deliver an outstanding service for all our customers. This is why we are happy when customers are able to leave a positive review and are left satisfied with the work carried out. Alfie arrived promptly and quickly identified the problem and removed an airlock from the bathroom drains. Considerate and very professional. They came out on a Sunday as parking was a problem during the week. Great job, jetted through all gullets a drains very thorough. Will defiantly use again good friendly service. Very happy with the work done by Alfie. Professionally carried out with a fast response time and would certainly use again. 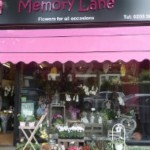 Excellent and thorough service from Alfie and Mick. After calling Dyno-rod to clear a blocked toilet (and requesting a camera to investigate) they sent someone with a plunger, no camera and no jetting equipment. They then wrote me a quote for the camera investigation (which would have been separate to the jetting costs). This would also mean me having to spend another day waiting for them to attend. I then called AlfaClear. Alfie and Mick arrived within the hour and they made it very clear that they would get the problem resolved. – They cleaned up as they worked and left our house clean and uninterrupted. – We were kept informed of stages of their progress. – The final bill was very reasonable. Both Alfie and Mick worked tirelessly through some very difficult situations with a smile on their face and not allowing the job to get the better of them. My advice would be to stay away from companies such as Dyno-rod when you have a drainage problem and go to Alfa Clear drains. Amazing, thank you so much. I accidentally flushed my wedding rings down the toilet…Ooops! Alfie saved the day, he arrived on time, was super efficient and had found my rings within 20 minutes of arriving. I couldn’t believe it, thought they were gone forever. Thank you so much Alfie. Alf came within about 90 mins of me calling. He identified the issue quickly and then went about clearing the blockage in an efficient manner and cleaning up the mess thereafter. I was happy with his service and I would definitely use again in the future should the need arise. Courteous and nice guy to deal with. I am totally satisfied with the work carried out by alfaclear drains. Their service was prompt and very efficient. Alfie’s friendly attitude turned this horrible problem into a pleasant experience – no need to dread blocked drains in future. Thank you very much. Great job, carried out promptly and efficiently. Over the years we have used numerous so called ” drain specialists”. The first time we used Alfaclear we realised exactly what a drain specialist is .After contracting two companies to clear drains to 5No flats in Marylebone with no success Alfaclear solved the problem within 20minutes of being on site and charged less than 15% of the previous companies put together.Since that occasion we have used Alfaclear many times and have recommended them to many of our customers. They are very reliable and punctual. The work and cost is explained very clearly to you before they begin.We normally hesitate to recommend contractors to customers but with company we feel confident . 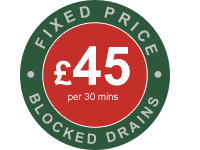 I would highly recommend Alfaclear Drains for anyone seeking a no nonsense service either as a one off or on a contract basis. Extremely pleased with service provided to unblock the main drain to our private residential house. Very friendly and efficient, prompt response and reasonable charging. Can’t thank you enough on behalf of my mum and will strongly recommend your company to all. Always do a good job!!! I have used Alfaclear on a few occasions-at my home and at my place of work(my florist) and am yet to be disappointed. The job is always completed in a timely manner & I feel his pricing is fair. Alfie is such a nice honest man to deal with and I would not hesitate in giving him my highest recommendation to others-I know he will always be whom I will call!! Balmoral Court is a block of flats in heart of Ealing Broadway. The management company noted that the foul drainage was blocked and leaking waste into the communal car park and causing serious health hazard and strong smell. We were recommended to contact Alfaclear Drains and at short notice, the company attended sire and removed the blockage. Then we instructed Alfaclear Drains to undertake the full maintenance and cleaning of the entire underground drainage, which included 14No. manholes. The works were completed to our satisfaction. We found Alfaclear Drains approachable, honest and reliable. Therefore, we have no hesitation to recommend Alfaclear Drains. Alfaclear Drains would get my highest recommendation. We have had to use Alf frequently for issues we have had with our very old pavilion. Alf has always been there promptly, charges a reasonable price and goes the extra mile to make sure that things are running as they should be. Alf is also a very nice man to deal with and explains everything fully and shows us what we are getting for the price. He has helped us with CCTV surveys and recommended some great people who have helped us maintain our building. I would suggest to anyone who needs drain work done to use Alfaclear. I’ve used Alfaclear on a couple of occasions and would happily use them again and recommend to others. The job has always been completed to a very good standard and at a reasonable price. Honest , job completed in a timely manner ( without finding reasons to ‘extend’ it), take’s pride in their work! Recommended.